The iPhone X is a beauty and nobody can deny it . If that is true that their characteristic ears are causing some controversy, but these in any case improve their aesthetics even though they worsen their handling. If you have recently passed through an Apple Store or you are one of the lucky ones who were able to buy the iPhone X, surely you will have been amazed with its stainless steel and glass design . This design is impressive as well as elegant. The problem comes from seeing certain unpleasant videos and realizing that this device is not exactly resistant and much less cheap to repair. Speaking clearly, if you want your iPhone X does not become a mess of broken glass to fall by accident, you have to buy a case. The problem comes when we put the cover and see it with it on . Horrifying! Not only the covers that we find for the iPhone X spoil their design but also make it thicker and heavier. Yes, this also happens with the official Apple cases. 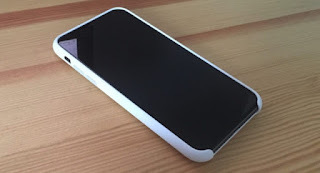 This added thickness makes it more uncomfortable to transport the phone, if we have it in our pocket and we want to take a photo it will surely take us some time to extract it from the compartment of our pants . No sheath is beautiful, no doubt, just as there is no doubt that without a sheath is a piece of thin glass prepared to break (and grate) as soon as you neglect it . This terminal, as I said, is not resistant. Carrying the iPhone X without a case is to live every day knowing that you can break your phone by accident. 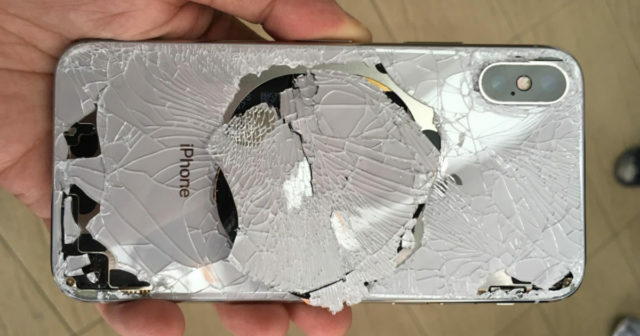 There are people who carry their iPhone without a case always, it is usual to see the odd iPhone 7, 6s or 6 with the screen completely shattered , but in this case, the iPhone X is very different. We speak of an OLED screen, if it breaks and the liquid inside spills, it will stop working and the repair will be a nightmare. Be that as it may, in the end the user is the one who decides what he wants to do . If you like the iPhone X more with a case, go ahead, you will have extra protection. If you do not like the case, think about it, it's your phone and if it breaks you should repair it assuming the cost of it.